Kefir smoothies are my go to weekday breakfast. They are both nutritious and delicious and keep me going happily until lunchtime. Kefir is also incredibly good for your gut. 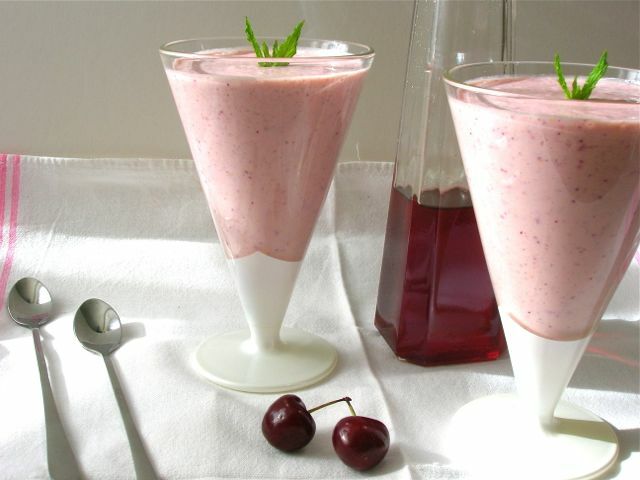 This summery blueberry kefir smoothie is flavoured with rose and a bit of a treat. This beetroot leaf green smoothie was one of the recipes I tried when putting Froothie’s new Optimum Nutri Force Extractor through its paces. 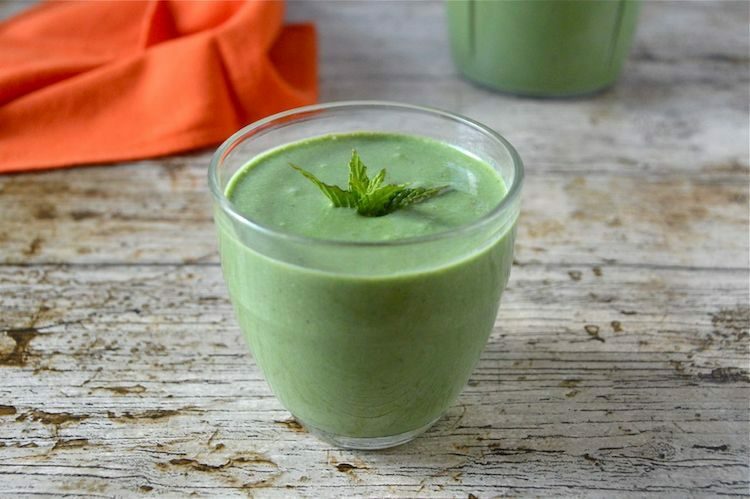 Read on for a review of this small but powerful blender and grinder set as well as the recipe for a nutritious green breakfast smoothie. I thought I ate a lot of fruit and veg, but I’m finding that getting in the newly recommended ten a day is a bit of a challenge. We usually start off our mornings with a smoothie packed full of all sorts of nutritious ingredients. This carrot smoothie with ginger & orange ticks off one of the ten. Only another nine to go then. 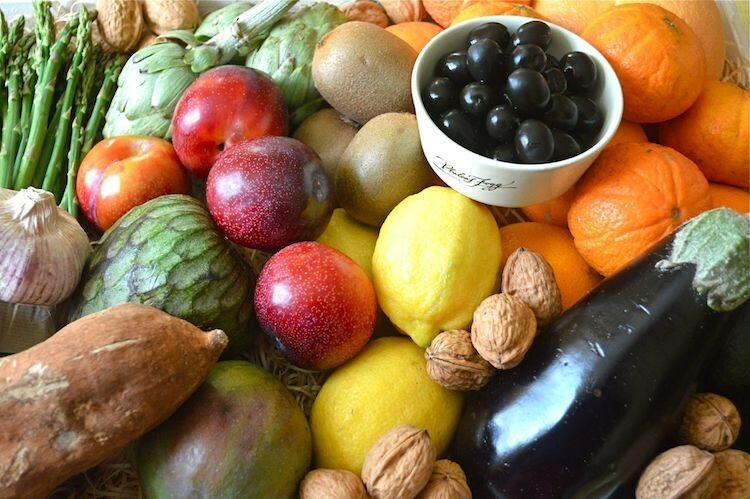 Juicing could be a good way of adding more fruit and veg to our diet. I’ve stayed clear of juicers, however, as I’ve heard they can be a bit of a faff to clean. But, cue fanfare, this may be a thing of the past with the all singing, all dancing self-cleaning Juisir. Since acquiring a decent blender, we’ve become complete smoothie converts. We have them for breakfast more often than not. 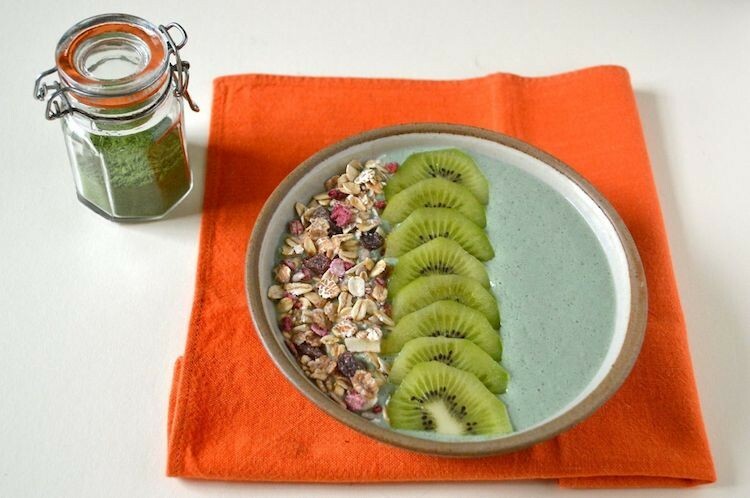 It’s a great way to use our kefir and other healthful ingredients. However, it wasn’t until BRITA asked me if I’d like to make one of their recipes and try out their new water filter jug, that I made a kefir-free smoothie. 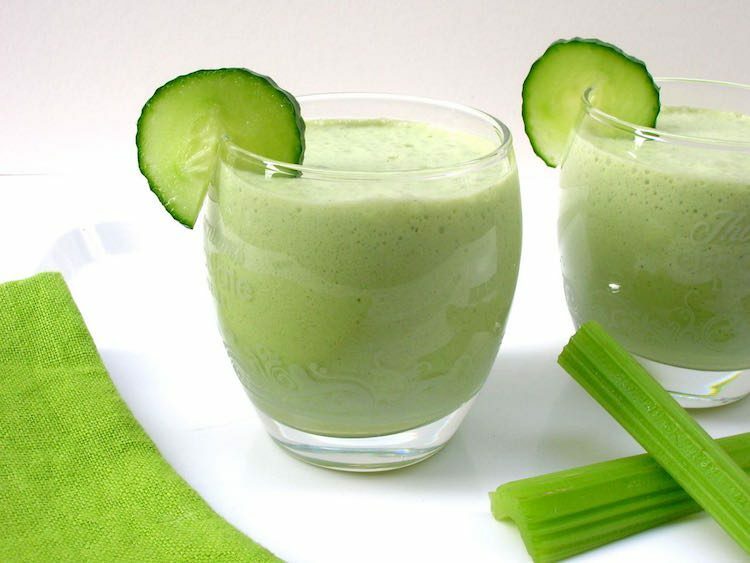 This dairy free ginger green goddess smoothie turned out to be an utter delight. After all that Black Forest Gateau, something healthy was definitely in order. It was time to use one of the mangos that CT had picked up at a knock down price. 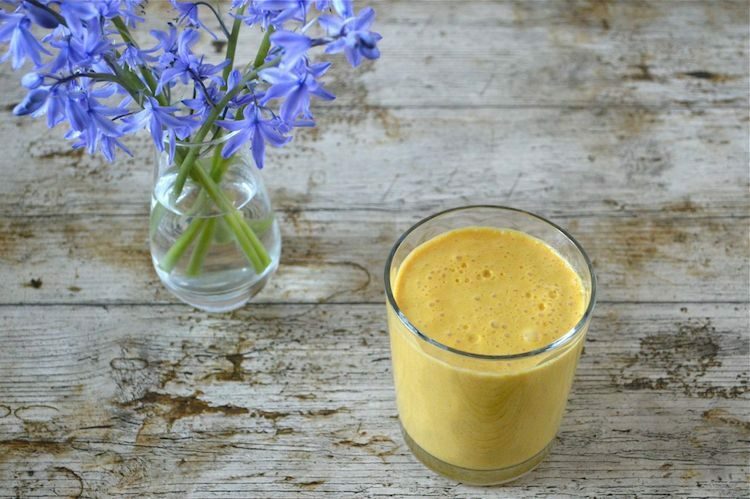 This fruity, veg filled, colourful mango carrot smoothie was the result. Following on from the success of my Red Berry Smoothie in a Bowl, I thought I’d try a smoothie in a sundae glass and eat it with a spoon. If you are going to eat something with a spoon, it encourages you to sit down – and a sit down breakfast is a rare treat for me.